While celebrities are often gracing headlines for doing bizarre things, Gwyneth Paltrow has taken the charge of that recently revealing that her ex-husband had accompanied her on her honeymoon with her new husband. During an interview on Live with Kelly and Ryan, the 46-year-old Oscar winning actor revealed her honeymoon with her new husband, TV producer Brad Falchuk turned out to be an unconventional one as they took a trip down to Maldives with her ex-husband, Coldplay front man Chris Martin as well as their children and Falchuk’s children from his prior marriage. While Paltrow termed the trip a ‘modern’ honeymoon, the news came as a surprise for many in spite of the actor and Martin being known to have remained on exceptionally good terms after parting ways in 2016, ending a decade of marriage. "We just wanted to minimize the pain for the kids,” she states while adding: “They just want to see their parents around the dinner table, basically, so we just try to keep that." The Sky Full of Stars hit maker and the Iron Man actor had two children together, 14-year-old Apple and 12-year-old son, Moses. 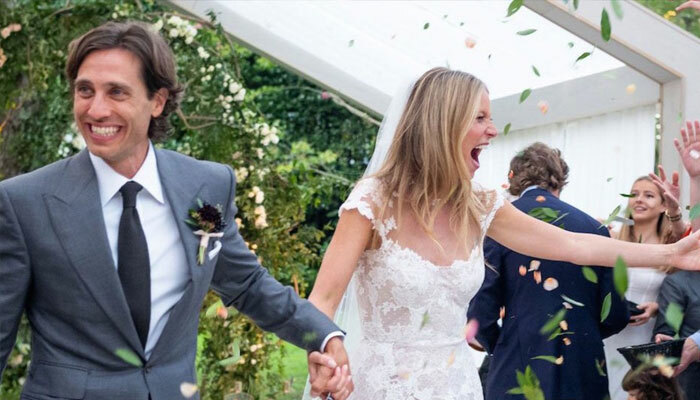 On the other hand, Paltrow and Falchuk had tied the knot earlier in September.